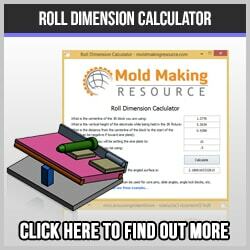 The industrial supplies needed for the design, build and repair in an injection mold making shop are many. Many tools and components are taken for granted, until you need them and don’t have them. There are many approaches to managing the ordering and storage of these industrial supplies; from the haphazard to the organized vending machine approach. One thing is certain: time spent looking for supplies or using worn out tools is time and money wasted. Develop a strategy, put a competent person in charge and work to continuously improve the system. The CNC machining department is a true workhorse for the injection mold making process. 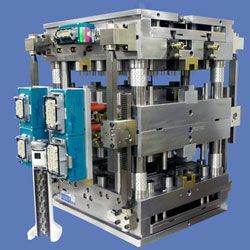 These machines run 24/7 in many cases, faithfully cranking out mold components such as cavity blocks, slides, electrodes and mold bases. The vending machine approach for end mill management is a real time and money saver. Rather than looking around for the right cutter, continually needing to order new ones and becoming generally frustrated and inefficient, the vending machine takes care of everything. 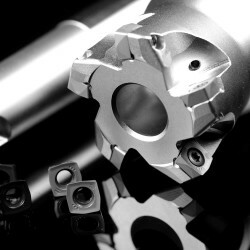 Managing the CNC tooling can be quite a challenge, at least until a logical system is set up and adhered to. Following a 5S approach where there is no clutter and everything is in it’s designated place is a great place to start. Some shops have vises tucked away where they are almost impossible to retrieve, for example. Take the time to make them accessible and easy to move. Protect them from the coolant, chips and dust inherent in a machine shop. Organizing collets, toolholders, shrink fit toolholders and equipment, coolant buckets, recycling bins for used carbide inserts, and other CNC machining supplies must have priority. Otherwise time is wasted, people become irritated and the work flow is disrupted. An interesting paper is available from the US Bureau of Industry and Security about 5 axis milling machines. It seems there are critical industries that need protecting as a matter of national security. I once heard that Moore Jig Grinders were protected in this manner, though I’ve never confirmed this. Why is it so often the case that a mold making shop is found scrambling for basic things like sufficient graphite for electrodes? It is not difficult for the designer or engineering manager to determine how much electrode material is required, so why not order it in the beginning. At least make sure enough material is on hand already. 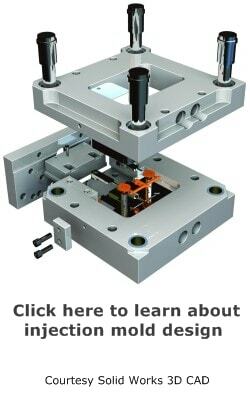 The common electrode holding systems, such as System 3R or Erowa need to be calibrated and in usable condition for the high speed machining center or grinders to manufacture the electrodes. Usually there are several damaged or out of spec chucks laying around, just waiting to be used by mistake. Why not repair them or discard them and save everyone a headache? Cabinets need to be set up to hold the small hole EDM rods in a logical manner. It takes time to get them organized, but it takes more time to hunt around, pawing through a box to find the one you need, which will probably be bent or damaged now. WEDM filters, guides, additives and wire need to be on hand or easy to obtain. Oddly, the time when you need these the most, when the job is nearly overdue, is when the weaknesses in shop organization show up. Someone needs to be responsible for the mold polishing supplies. If not, the stones and diamond paste get mixed up by grit, often with disastrous results. It is not difficult to organize them in boxes or by dividers in a cabinet. Imagine the frustration when the mold polisher applies some very fine diamond paste to buff up a cavity and discover that the paste was contaminated with some coarse compound, leaving deep scratches in a completely finished cavity block. This happened to me once, I know what it is like; you have to basically start over. Carbide burrs and rotary stones must be kept track of so people don’t walk off with them or simply leave them lying around to get lost. The person in charge needs some authority to keep the area clean and organized. Make sure somebody is “in charge”, and that everyone knows who it is and that he is empowered. Just-in-time delivery of mold components, such as core pins, ejector pins, ejector sleeves, springs, screws, dowel pins, water plugs and baffles is a great concept. The only problem is human nature, i.e. things go wrong. All these supplies need to be organized for easy access and monitoring. Simple things like making a policy that when the box of ¼-20 bolts is getting low, a new box or boxes is queued up to be ordered. Keeping a reasonable inventory on hand can save the day when disaster strikes and a mistake is made, causing new ejector pins, for example, to be manufactured. The money spent for this inventory more than pays for itself in time and frustration when it is needed. The grinding department is where the highest precision occurs, yet it is sometimes ignored by management. The magnetic squaring blocks, precision vises, sine plates, surface plates and so on, all need to be kept organized and out of harm’s way. These precision tools form the basis for every mold component and need to be treated with respect by everyone in the shop. People should not be allowed to come and go randomly, using and often abusing these tools. The grinding wheels used for injection mold making are a great bargain. Unlike a carbide end mill, for example, the grinding wheel can be used over and over again, just by redressing. The toolmakers should be supplied with adequate wheels to do the best possible job in the least amount of time. Skimping on grinding wheels is a bad idea and is also wasteful. Whether it is for wire EDM, sinker EDM, CNC Milling, or surface grinding, toolmakers need the best precision measuring tools you can afford. Buying cheap imitations is not a good idea, unless that is all you really need. The lowly surface plate is often ignored; after all, it is just a big piece of granite! Yet most precision measurement takes place on this flat piece of rock. Make sure to calibrate them regularly in order to ensure accurate measurement. Similarly, the micrometers, test indicators, electronic height gages and gage blocks need to be calibrated regularly. Out of spec inspection tools will cause discrepancies from department to department. For this reason the measuring tools need to all be calibrated to the same standards. You make a great point that the grinding department of a company is where the highest precision occurs and the industrial supplies need to be organized and managed well. I think it is important to purchase industrial supplies before you run out so that you can avoid stressful situations during the process of making supplies. If I was a business owner, I would make sure to find an industrial supply company to help us stay on top of what we need. I agree. For some reason it often happens that the grinding department has to practically beg for adequate supplies, while others can use an in-house vending machine. Go figure. I like your tip to use a 5S setup. Organization is a big part of efficiency. Efficiency is a big part of profitability.